Ever heard of a duvet? What is a duvet? A duvet is a sheet bag with buttons for closure, that a blanket or comforter is inserted into. A duvet’s two main objectives are to cover a bed and to protect a comforter. In warmer months, especially in the summer, a single duvet with no comforter is warm enough to sleep under. A duvet and duvet cover are easier to maintain than a single blanket or comforter. Many comforters are hard to clean due to their size and bulk. Some people even recommend that comforters not be washed regularly but that is difficult to follow since the bed can be excellent homes for bacteria. Duvets are also very practical because they can be taken apart and you can choose to use the entire duvet in the winter months when it is cold and only the cover in the summer months when it warms up. Get the exact dimensions of your bed. Many duvet covers come in standard sizes, but beds have different dimensions. You can also lay your comforter down flat, then measure the comforter. You should try to get the duvet cover a few inches larger than the size of the comforter, so you have a perfect fit. 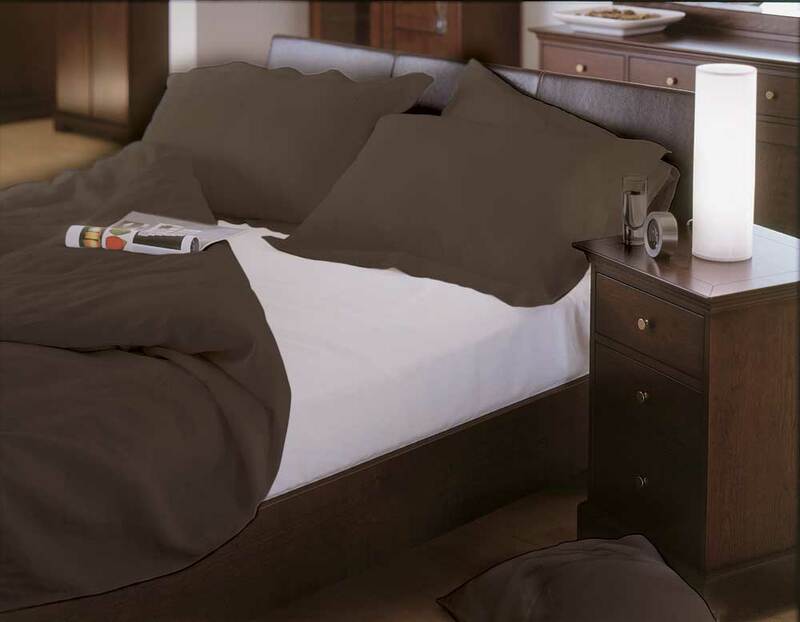 Decide on the materials of the duvet cover before purchasing online. It is important to know what kind of material you’d like the bed cover to be made of. If you choose a duvet cover that isn’t machine washable, then you have defeated one of the main purposes of purchasing a duvet cover. You want a duvet cover that you can wash regularly without any problems. Know the approximate thread count of the duvet cover before shopping. Why is the thread count important for a duvet cover? You want the duvet cover to feel soft like sleeping on a cloud. A good thread count for a duvet cover is 320. Choose natural or un-natural before shopping or you will be posed with too many options and it will be difficult to make a final decision. A bamboo duvet cover will provide an all-natural, organic option in bedding and really is the best of all worlds. It offers the best protection for your comforter because it is made of a very durable natural fiber. It can save your comforter in more ways than one and it is ultra soft! A bamboo duvet cover can resist moisture, dust mites and allergens better than any of the other duvet covers on the market. It can be machine washed and dried. There are bamboo duvet covers for all bed sizes including, king size, queen, cal king, double and twin. Some king size comforters don’t even fit in a regular washing machine, so it makes sense for people with king size beds to investigate purchasing a king size duvet and duvet cover. If you currently have bamboo bedding for your bed, then choosing a bamboo duvet is obviously a product and touch to your bedding that you should make immediately. If you do not have any bamboo bedding, now is a good time to purchase!